Talk about a place where you want to nail your roll. 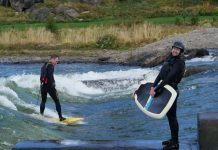 What would you do if you were a ski resort located a throwbag’s throw from some of the best whitewater in the country? If you’re Monarch Mountain, perched just 15 minutes from Colorado’s Arkansas River, you create an event that has crossover between kayaking and skiing – and hope that its participants don’t get hypothermia. 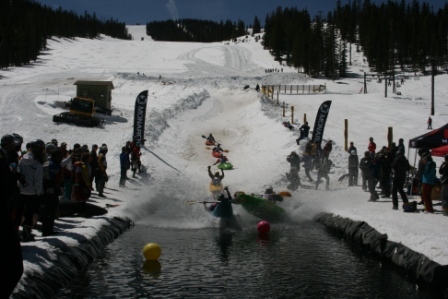 Monarch’s Kayaks on Snow 2014, the resort’s signature event, will be held this year on April 12. In it, contestants race head to head down the slopes in their kayaks, similar to Skier Cross, down a specially designed course featuring berms, banks and bumps, while ending in an icy pond. 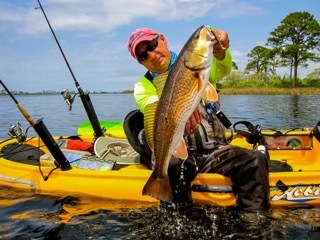 “It’s as fun to watch as it is to race,” says organizer Eric Ramsey, adding that the $10 entry fee includes event t-shirt and prize eligibility from such sponsors as Colorado Kayak Supply, Smith Optics, Mountain Khakis, Melanzana, PWDR Room, Ripzone, J2, and TNF. 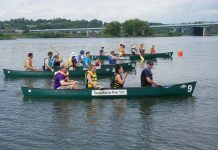 The race is a double elimination format, with four boats on the course at a time. The first one across the pond wins the heat. “It’s visible from the base of the mountain and turns into quite the party scene,” Ramsey says, adding that the event usually attracts as many as 30 entrants who have nothing better to do than whisk down a ski slope into frigid water. Info: (719) 530.5081 or visit www.skimonarch.com .